For a late week 10 of my project 52 Arts, another daily diorama. This one inspired by scuba diving in the Keys. 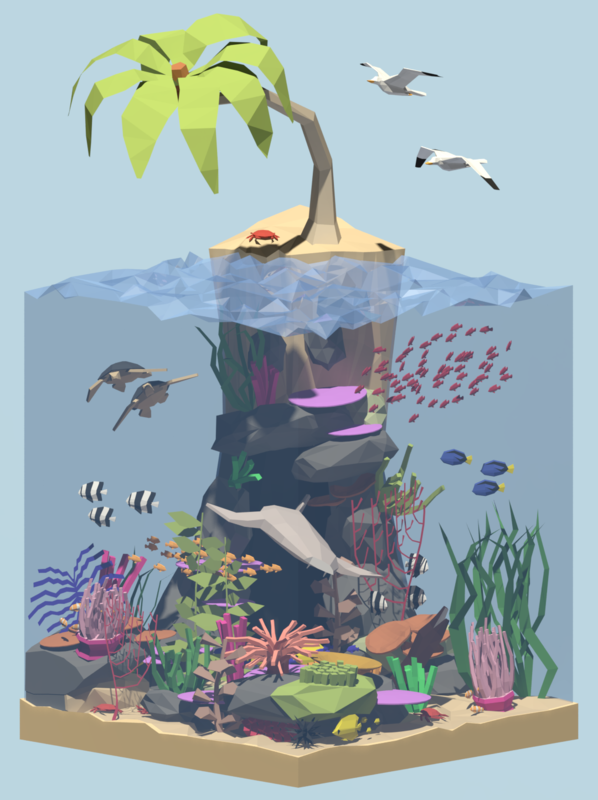 Fish are cool and the ocean is full of fun things to model, so might do some more of these.